Although it was the promise of gold that lured people to the San Francisco Bay Area, it was the beauty and natural abundance of nature that convinced people to stay. The nearby Central Valley was tilled and soon yielded one of the greatest crops of fruit and vegetables in the world. The Pacific didn't need any tilling - it was brimming with fresh fish. Although the recent drought has put pressure on salmon and other fish, solid management has kept most of the wonderful seafood that California has to offer on the menu. 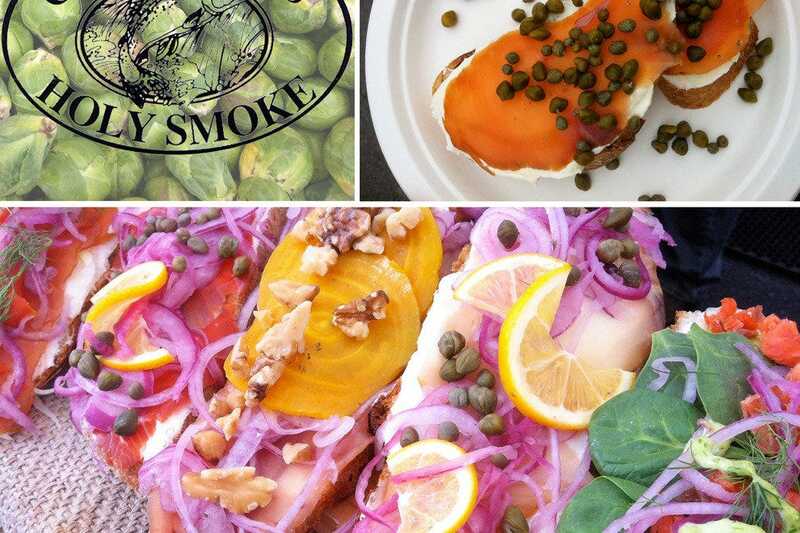 Whether its crab, clams, oysters or fish, you really haven't tasted San Francisco until you've tasted the amazing variety of seafood this area has to offer. Certain restaurants are known for their expertise at turning out signature dishes really well. They've pinned down the ingredients, mastered the process, and gained a strong following as a result. 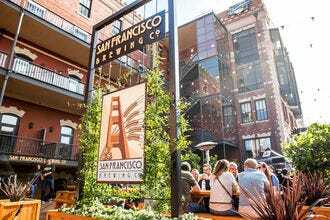 San Francisco has had much success cultivating great restaurants and creating a substantial market for seafood. 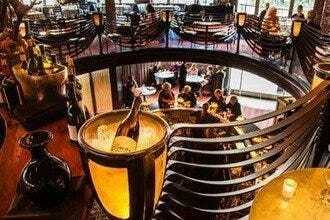 Locals can't get enough of the city's excellent food, and you'll often find them, along with eager tourists, at popular Tadich Grill or at Farallon, a major player in the field. Make sure you see what all the fuss is about! Rarity only adds value, which makes the yummy dishes from the weekly pop-up appearances of this fantastic restaurant even more valuable. The San Francisco Lox sandwich is the featured attraction on this simple menu, but it's alone worth a trip to the Ferry Building. 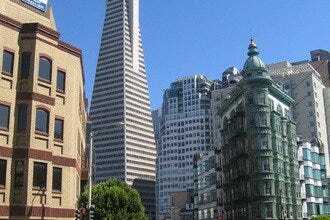 Afterwards, enjoy the enticing shops inside the iconic Ferry Building, or take a stroll along the Embarcadero and enjoy the bay. If you want superior seafood but don't have the time - or fancy outfits - for some of the higher end seafood restaurants in San Francisco, see if your schedule will allow a trip to Cap'N Mike's. Thahn Long is a trek, but it's Colossal Royal Tiger Prawns and famous Roast Crab are worth the long ride on the N-Judah train to the foggy Sunset. You'll be blocks from Ocean Beach as you enjoy some of the finest Vietnamese food the city has to offer. Founder Helene An continues to develop dishes here and at her other seafood restaurants throughout California - one of her most recent obsessions is the "tiato" herb, a member of the mint family that is crushed into most of the dishes. For a zesty take on seafood that you won't find anywhere else, head to Than Long. 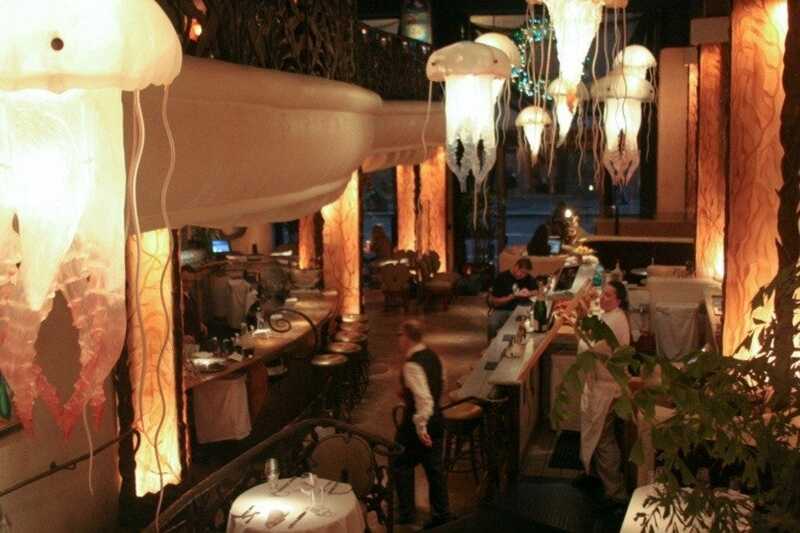 An undersea fantasy world reigns at Farallon, one of undulating curves, glimmering details, and sea-creature accents. It's home to perhaps San Francisco's most famous seafood restaurant, led by chef Mark Franz and specializing in "coastal cuisine." Fresh shellfish starts the meal, followed by grilled Pacific ono, sauteed skate wing, Maine lobster, and prosciutto-wrapped branzino. The popular "seafood pyramid" piles together shrimp, scallops, lobster, julienned leeks, and salmon caviar. Poultry, beef, and veal are also available, along with a decadent dessert list and artisanal cheeses. Menu changes daily. Located right off of Union Square, with great access to the best shopping and sightseeing activities in the city. 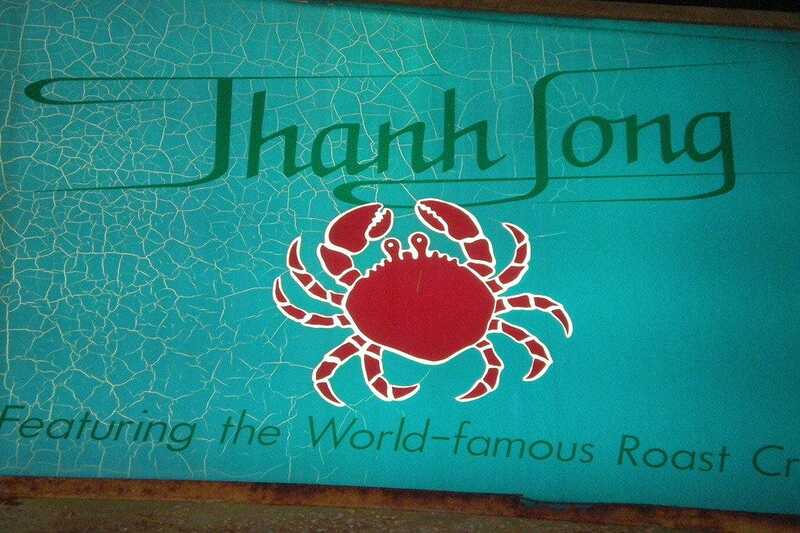 For generations, this small eatery has been delighting seafood lovers from all over the city. Distinguished by a marble counter and pull-up stools, the place puts all its attention on fresh shellfish, especially just-shucked oysters. 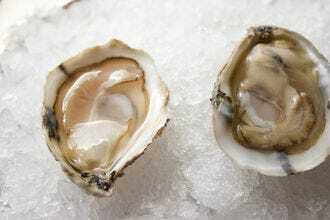 You can also try clams on the half-shell, cracked crab, lobster, and shrimp, along with a few soups and salads. The place doesn't stand out from the street, so keep your eyes peeled. And if you're around during the lunchtime rush, you'll most likely have to wait. 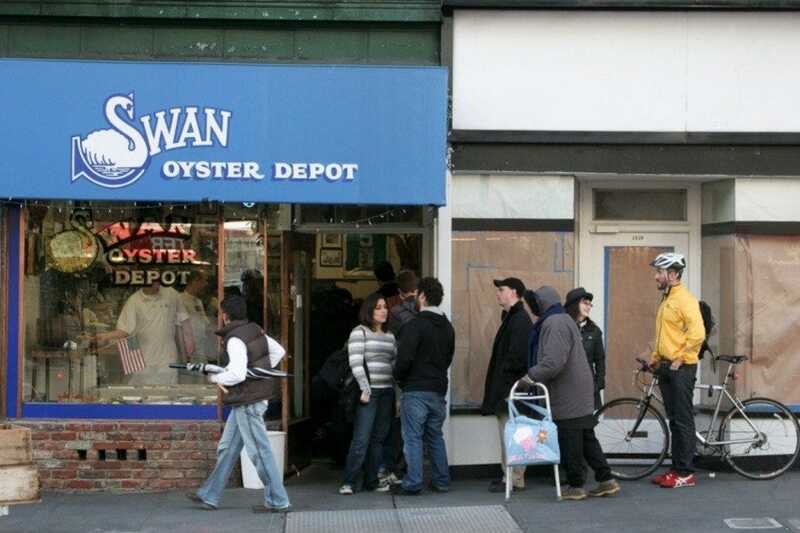 If you're in the mood for a throwback kind of seafood restaurant, where simple style counts, then head to Swan Oyster Depot. 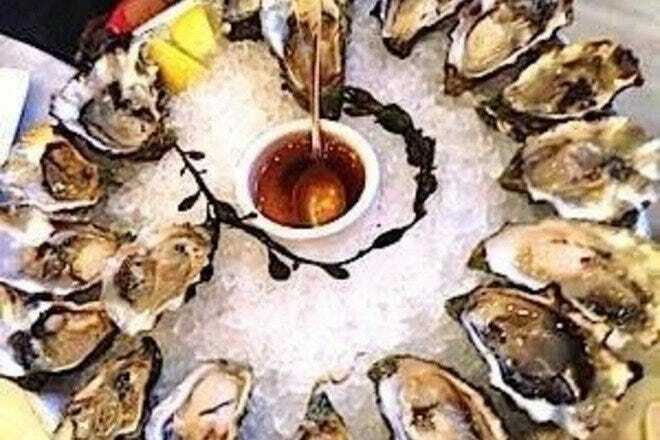 Location location, location works for this simple but popular seafood restaurant. If you're looking for fancy atmosphere, The Codmother is not your place, since you might have to fight off hungry seagulls while sitting at their modest patio tables. But if you want perfectly grilled, fried or baked fish, you can't do much better than this charming restaurant. As the name suggests, this place is known for its cod, which the traditional fish for fish and chips. It's their signature and most popular dish, so go with that if you're not sure what to have. If you want to stray from the traditional British menu, try their fried Oreos with vanilla ice cream for dessert. The name says it all: this place is serious about serving fresh, local fish. Sausalito is almost always sunny, so you can take advantage of Fish's ample outdoor seating, too. What separates Fish from other seafood restaurants is this: where many seafood restaurants offer locally caught seafood "when available," Fish only serves locally caught seafood. If they can't catch it from the Pacific or Bay that there restaurant sits on, it doesn't touch your plate. The place is packed, but be sure to ask the knowledgable servers whatever questions you have on the many fish dishes this restaurant offers. They know their fish! 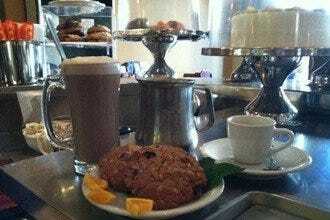 What began in 1965 as a small coffee shop has evolved into an oft-frequented, family-run restaurant. It's also the only place amid Fisherman's Wharf's touristy eateries that locals recommend for quality of food and generous portions. Celebrity photos grant silent, smiling endorsements, and broad windows showcase wharf and Bay vistas. The lengthy menu tempts with Italian-accented seafood, including pastas, grilled fish, shellfish and a fabulous cioppino alla pescatore with Dungeness crab. 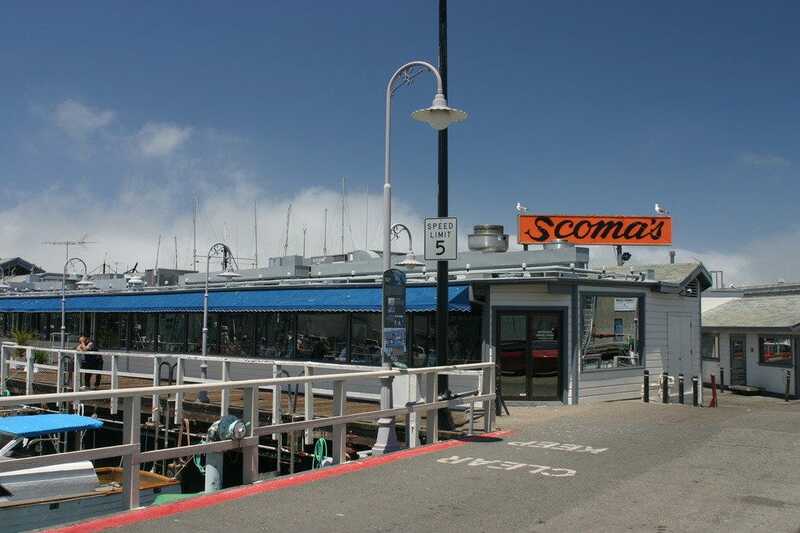 If a ride across the Bay and a snootful of fresh, salty air will get your appetite ready for seafood, then grab a spot on the ferry and grab a table at their Sausalito location. 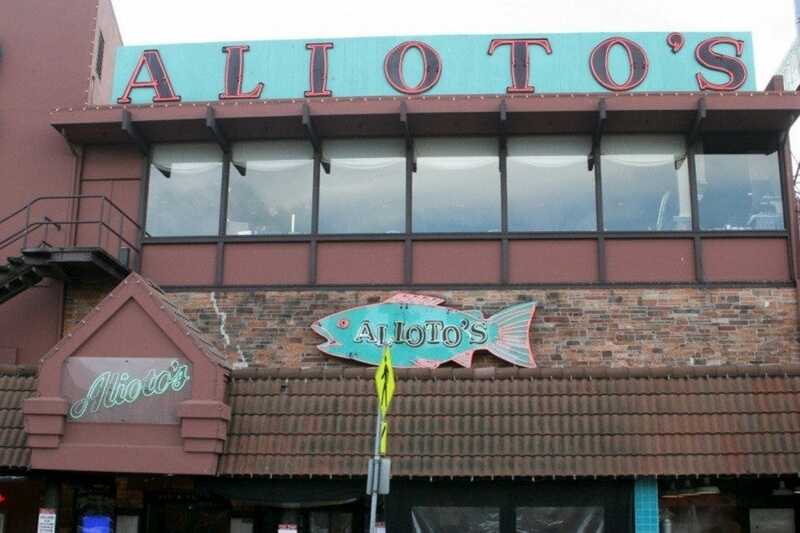 Established in 1925, Alioto's has been a reliable seafood restaurant on Fisherman's Wharf for years. Visitors to Fisherman's Wharf can be easily overwhelmed by the number of restaurants and activities in this tourist of mecca of San Francisco. And although there are several seafood options at Fisherman's Wharf, not all are equal. Alioto's really stand out from the rest. Family-run, very friendly and attentive service, and wonderful bay views, Alioto's has not allowed its popularity to got to its head. 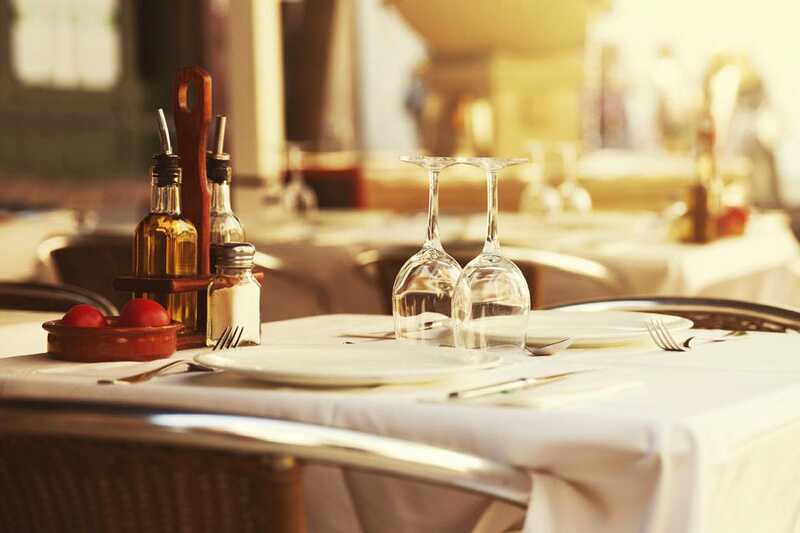 Fish, like sea bass, sand dabs, sole, swordfish, tuna, scallops, salmon and Dungeness crab, are caught daily and served up with an Italian charm.